Kabil hoon title song was sung by Jubin Nautiyal and Palak Muchchal. 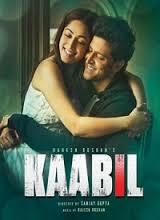 Kabil hoon song lyrics from forthcoming movie “Kabil” were written by Nasir Faraaz. Rajesh Roshan is th music director of Kabil.